FOUR additional Cancer Master Classes, very similar in interactive format, learning design and KOL access/relationship building to recent highly successful 2016 Strategic Cancer Business Master Class are scheduled for 2017. The three Master Classes to be held in the US in 2017 will all be conveniently conducted at the Hyatt Regency Hotel located inside the Dallas Fort Worth (DFW) International Airport, in Terminal C inside the DFW Airport. The first two Master Classes have been officially scheduled. (Lung and Immune Therapy for Cancer). Details follow. The remaining few KOL faculty will be confirmed by the first week of November 2016. These four new Master Classes are advanced-level “immersion training courses” for experienced cancer industry executives who are either new or relatively new to a specific malignancy or group of malignancies (e.g., The Hematology Master Class) or as ideal courses for cancer industry executives who wish to remain as current and as knowledgeable as possible, while establishing or strengthening their relationships with the KOL faculty members in a particular malignancy during the pre-planned welcome receptions and special, private meal functions where each individual KOL sits separately at pre-determined separate lunch and dinner table to enable participants to further interact with the KOL of their choice. These four new Master Classes will follow the learning design and format of the very successful and highly interactive October 19-21, 2016 Strategic Business Cancer Master Class held in Dallas; attended by a maximum (capacity) 124 pharmaceutical industry executives. 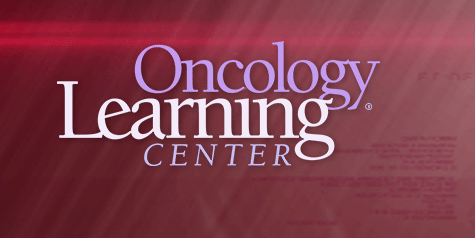 Please contact Steve Madison from the Oncology Learning Center for information on discounts and special pricing. All discounts are available on a first-come, first-served basis. In short, as each of the Master Classes are filled (reach capacity) the available discounts gradually diminish. All discounts are intended to accelerate the selling of all seats at each Master Class. This is exactly what happened with the October 19-21, 2016 Strategic Business Cancer Master Class held in Dallas. This Master Class was “sold out” and closed for registration 6 weeks before October 19th.